Th at’s number to call to reach the Aging and Disability Resource Center (ADRC) of United Way’s Area Agency on Aging. ADRC is a trusted and unbiased wealth of helpful information serving people of all ages and incomes in their search for various assistance programs designed for seniors and the disabled. ADRC offers access to resources in 35 different categories, including housing, in-home care, dental clinics, vision and hearing resources and transportation. For help with everything from completing Medicare applications to finding lower-cost prescriptions, ADRC answers the call. And best of all, you’ll talk to a real, live person. We’ll listen carefully to your concerns and questions, gather information from you and then point you to the resources that are best equipped to help. Our “No Wrong Door” approach to service eliminates the confusion and frustration of trying to find the right person to talk to. 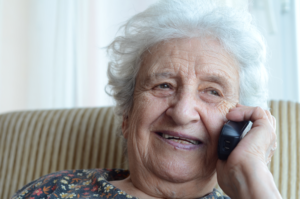 ADRC streamlines the process so that older adults, individuals with disabilities and family caregivers can easily obtain the information they need on healthcare, long-term care options, benefits counseling, case management and more. ADRC’s services are available by phone at 1-800-AGE-LINE (1-800-243-5463) or by appointment or walk-in Monday through Friday from 8 a.m. to 4:30 p.m. at United Way of Central Alabama’s office, 3600 8th Avenue South, Birmingham, AL 35222. To find out even more about ADRC, click here.